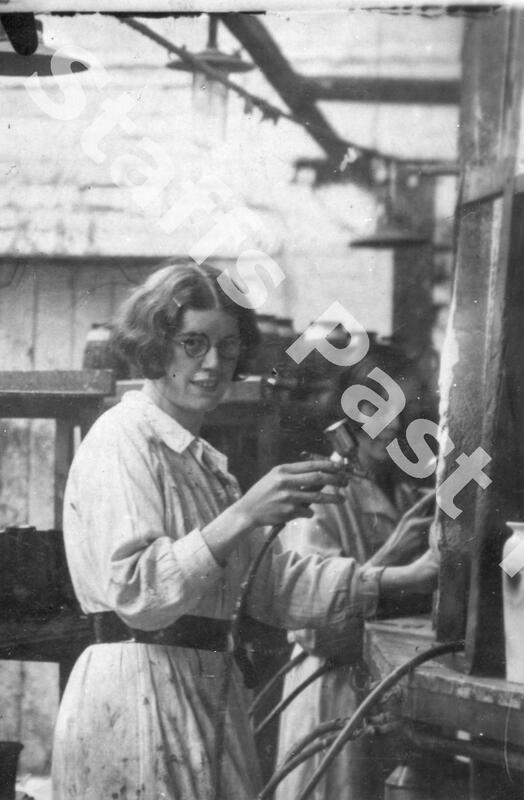 Description:Pottery factory interior with a view of women aerographing. They are using pneumatic airbrushes. 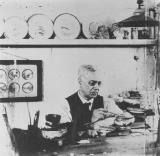 Possibly taken at the Gladstone China, Uttoxeter Road, Stoke-on-Trent. Aerography was the mechanical spraying of glaze onto pots. Ground laying — the application of sold areas of flat colour which was a skilled and time consuming art. Shaded effects - previously either brushed or blown onto the ware with a mouth blown diffuser. 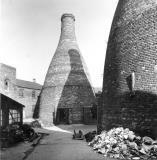 Taken from the Gladstone Pottery Museum Photographic Collection. 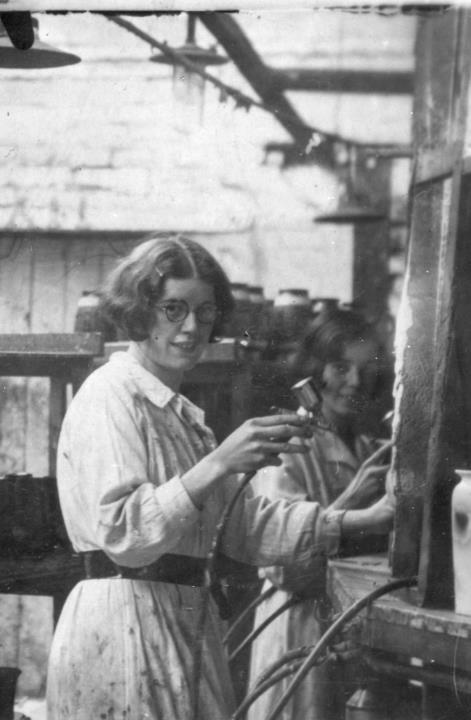 This photograph is part of the collections at Stoke-on-Trent Museums. Gladstone China Office. Bert and George Proctor.